Adaptations of Shakespeare's stories for children have been almost too many to mention over the years. Charles Lamb, E. Nesbit, Leon Garfield and Marcia Williams' versions are among my own favourites. 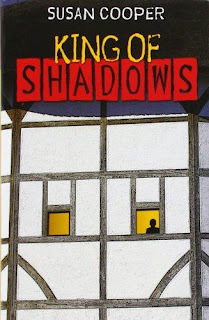 But of course one man in his time plays many parts, and successive authors have brought Shakespeare into young readers' lives in all kinds of different ways. As soon as I began to consider this, I knew I had to talk to Tig Thomas, an editor who specialises in period children's fiction. Her verve, precision and vast knowledge of both Shakespeare and his reincarnations have made this post possible. Huge thanks to Tig for some great discussions on this subject - in fact for several decades' worth of stimulating conversations about children's books - and for pinpointing nearly all of the perfect extracts you'll find below. 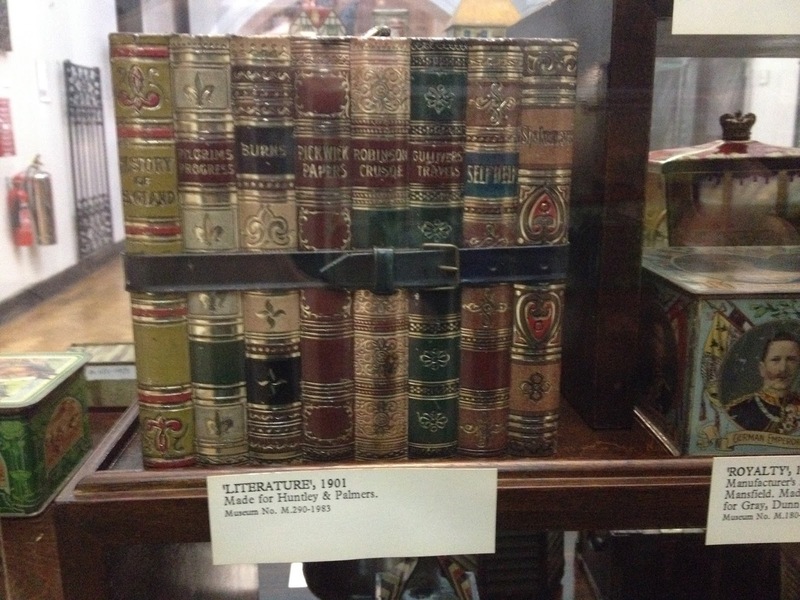 Our main focus has been on titles from the late 19th and 20th centuries. 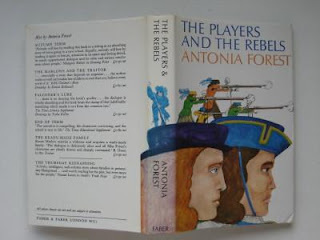 It's intriguing that while some of the earliest works assume such familiarity with Shakespeare that the joke becomes how the plays are mangled and misappropriated, more recent novelists - including The History Girls' own Celia Rees (The Fool's Girl) - have turned to his plots, often reworking them in contemporary settings. We're sure there will be plenty of extracts and titles to add to this mini-anthology of favourite Shakespearean scenes in children's fiction, many of which speak for themselves...we look forward to more suggestions and additions. These were originally one book, the story of Nicholas Marlow, a boy with an incredible memory who becomes Shakespeare's 'lad'. ‘He read it with interest and between cat-naps, automatically casting it as the plot unfolded. Robin would play Ophelia, Sam might be Gertrude: John Hemings would play Polonius, Tom or August (the odds on August) King Claudius, and Henry Condall would play Horatio: and Ned, he supposed, would play Laertes, a part he’d dearly have liked himself for the duel at the end – he thought with fearful relish of the fight to the death against Dickon’s Prince Hamlet: for fond though he was of Burbage and accustomed as he was to playing opposite him, there were times, even at rehearsal, when Dickon’s playing of a wicked character could scare him half out of his wits – as he said to Will over supper, Dickon much preferred playing villains. ‘Supposed is just. After all, they’ve leagued with the king against him. He knotted the lace and stood up. Most of the candles had been blown out, but there were enough to see by as he hurried down the room; and then, as he neared the door, a girl came towards him from a room beyond - a slight, graceful creature in a silvery gown, fair hair under a jewelled caul, grave steady eyes, an air both proud and shy - a haunting face; O, she doth teach the torches to burn bright. He stood aside to let her pass, as she did the same for him: forgetting his dress, he bowed politely, and gestured her to come on; as did she. 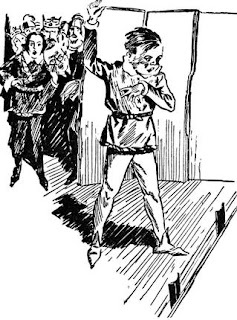 It took him an instant longer to realize he was looking into the Venetian looking-glass at the end of the room. "You know the lines, don't you?" "Then say them, for pity's sake, say them." He clapped his hand to his brow, tragically. "That's all you need to do. The show's ruined. We'll be lucky if they don't burn the theatre to the ground." Willing hands helped me into Juliet's costume, fitted my wig, painted my lips and cheeks, and tried to perform the impossible task of making me look beautiful. 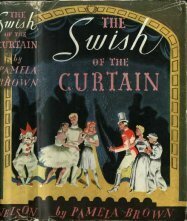 We could hear, through the curtains, that the play had begun, and that so far it was going excellently. Shakespeare's had was on my shoulder. His pale face masked his disappointment. "don't let hem worry you," he murmured. "Remember, you can act. And the moon's fine to look at -- when the sun isn't there." The Queen was to be murdered - that we had suspected all along. She was to die in the middle of the command performance of Shakespeare's play. "The man's name is John Somers," said the lazy voice above me. I started. John Somers! I knew him. 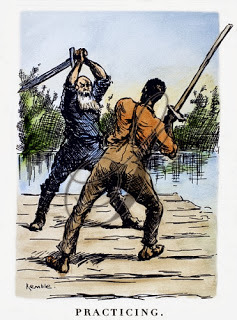 He was one of Burbage's company, a disappointed, disgruntled player of third-rate parts. I had often heard him boast of his marksmanship. He was just the kind of man to lend himself to a piece of dirty work such as this. And, of course, he'd be able to stand behind the stage curtains without any question. "Lucky to find such a man in the company," Duncan was saying. 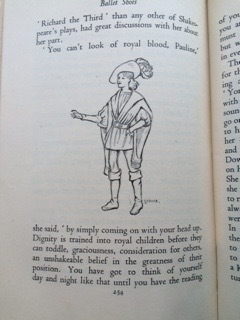 "Oh, most actors will do anything if it's made worth their while...."
More Burbage here. Nathan Field is due to act Puck in a modern American company of boy actors coming to perform at London’s Globe. Instead he finds himself timeslipped back to Shakespeare’s England and the original globe where he must perform his Puck to Shakespeare’s Oberon. She read the scene in King John between Prince Arthur and Hubert. Pauline did not understand it all, but Doctor Jakes was one of those people who can really read out loud. 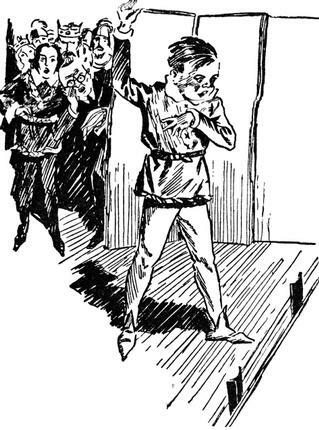 She forgot to drink her ginger, and, instead, listened so hard that at last Doctor Jakes vanished, and in her place she saw a cowering little boy pleading for his eyes. ‘There.’ Doctor Jakes closed the book. ‘Learn that. Learn to play Prince Arthur so that we cringe at the hot irons just as he does and then you can talk about reciting.’ She got another book, found the place and passed it to Pauline. It was Puck’s speech which begins ‘Fairy, thou speak’st aright’. Pauline had never seen it before and she halted over some of the words but she got a remarkable amount of the feeling of Puck into it. When she had finished, Doctor Jakes nodded at her in a pleased way. Pauline had hoped their dresses would be the real fairy sort, with wings sticking up behind; but they were not a bit like that. They both had skin tights all over, Pauline’s in flesh colour and Petrova’s mustard, with queer turn-up-toes shoes to match. Round Pauline’s waist and over one shoulder were pink flowers; she had a wreath of the same flowers round her head. Petrova had nothing on beyond her tights, except a funny little hat. They both had silk wings that fastened to their shoulders and wrists, and were so long that when they were walking they trailed on the floor like a train. Nana, who had taken them to the fitting, was disgusted and said so. Uncle Francis let her get to the end of her first speech without interruption, then he told her to stand up. 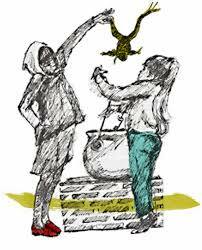 Asked directly like that, Sorrel forgot the listening cast and forgot to be shy of Uncle Francis. She had done absolutely nothing but think about Ariel ever since she had been told she might ply the part. Except for her weekly rehearsals and broadcasts for the BBC and the afternoon when she had watched Grandmother’s play, she had hardly thought of anything else, and a picture of Ariel had grown in her mind. Uncle Francis took her chin in his hand. Sorrel was surprised at the question. Uncle Francis’s voice became more caramel even than usual. ‘It.’ He turned to the cast who were sitting round the stage. ‘You notice she uses the word ‘it’. My conception entirely. The Blue Doors are taken to Stratford to the Shakespeare festival and later put on scenes from Twelfth Night, A Midsummer Night’s Dream and Romeo and Juliet themselves. ‘How wonderful to think that one man’s writings can make an international understanding,’ reflected Lyn. Lyn and Nigel went from strength to strength, Lyn continually leading him on, and forcing him to act. He was so happy to find himself acting well that he forgot the argument in which he said the balcony scene should be acted soberly, and once or twice laughed gently, gazing up at Lyn wiith adoring eyes. The bishop sighed contentedly. For the first time in his life he was seeing Romeo and Juliet at their correct ages and he knew that by taking them to the Shakespeare festival he had been instrumental in bringing this about. I wonder how many girls my age could quote Shakespeare on suitable occasions that way I can, thought Mona and instantly stubbed her toe on a rock. Father and Mrs Golding continued their interview for some time, then suddenly past the partly open door drifted the unselfconscious figure of Mona. She had a strange dreamy expression on her face, was wearing a wreath of nasturtiums and carrying nasturtiums in her hands. She looked straight ahead of her like a sleepwalker, and as she walked she lifted one of the flowers and remarked in an eerie voice, ‘There's rosemary, that's for remembrance; pray, love, remember: and there is pansies, that's for thoughts. There's fennel for you, and columbines: there's rue for you; and here's some for me: we may call it herb of grace o' Sundays… she floated out of earshot. Mrs Golding was obviously startled. Indeed she seemed alarmed. Father looked at her uncomfortably. Into the late, keen twilight of that September day Lucinda went in a state of pure rapture. She wished she had her roller skates – thereby gaining a motion free, flying, that would give vent to some of the emotion within. She thrust hands deep into her reefer pockets and took to a jog-trot. Her head was tilted upwards that the rows of brownstone houses might be obliterated, that she might see overhead only that ribbon of sky which undoubtedly was unfurled over Prospero’s magic island. So would she have run amuck several times had not passers-by given her a good thoroughfare. ‘Ariel, I love you - I adore you.’ She was shouting it in whispers as she took the kerb. Like The Lark in the Morn books, these are about an artist learning how to follow her art with integrity. Laura is the niece of the Kit in the earlier books, and wants to be an actress but is at first too self-absorbed and prone to cry out unfairness. By the end of the book she has learnt not to let anything outside her power affect her work and she successfully auditions for a thinly disguised RADA. She went into the room full of noisy people and sat down on a vacant chair. The girl with the pony tail was there again but most of the others were different. They were nearly all behaving in just the same way as before. Hardly any of them appeared to notice her and she shut them out of her mind, with all the noise and the fuss and the worry, and relaxed. When at last her name was called, she was Helena-pretty, gawky, half-peevish, half-defenceless Helena. ‘Lo, she is of this confederacy’ - and Hermia was almost visible-petite, indignant Hermia - and gradually the room was peopled. This was not a schoolgirl declaiming hackneyed speech; a world was coming to life. ‘It is not friendly, ‘tis not maidenly -' declared Laura with a comical assumption of dignity, and even the critical judges responded with a ripple of amusement. She was not playing for it; she was hardly aware of their reactions except in so far as she sensed the encouragement which comes from a responsive audience. ‘You mean not a happy ending?’ said Nicola approvingly. ‘Please don’t look like that. It isn’t my fault. What else could you expect?’ he said. 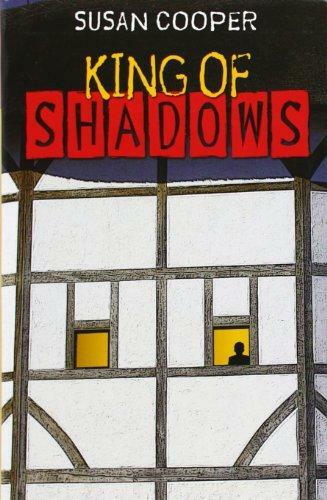 These books' assumed readers have enough knowledge of Shakespeare to get the joke when characters mess about with him. ‘How could they be?’ said William. ‘I’ve already said that I wished you wouldn’t keep interrupting,’ snapped the lecturer. ‘Ah but you see I don’t believe that Shakespeare did write them,’ said Mr Wellbecker mysteriously. When the clock showed six-thirty the Examiner addressed them as 'Gentlemen'; and said he would have particular pleasure in speaking well of this Army Class, which had evinced such a genuine and unusual interest in English Literature, and which reflected the greatest credit on their instructors. He passed out: the Form upstanding, as custom was. Mr. King of Balliol, after Mr. Hume of Sutton had complimented him, as was only just, before all his colleagues in Common Room, was kindly taken by the Reverend John to his study, where he exploded on the hearth-rug. Lonely misfit Elizabeth is befriended by another much more confident loner, Jennifer who claims she is a witch and invites Elizabeth to become her apprentice. Jennifer describes the plot fo Macbeth to Elizabeth and gives her similarly ambiguous warnings and reassurances to the ones Macbeth receives in the play. Jennifer introduces Elizabeth to her pet toad and tells Elizabeth that the toad will cause her pain. Then she says that no animal born where rain can fall will harm her. Finally she says that Elizabeth will have no pain until the home of the toad comes to her. Elizabeth rationalises from the first warning that a toad might cause her pain – she suggests she might get a wart and have to have it burned off. But she feels secure about the second and third warnings. In the end, all the warnings come true, in exactly the way they do in Macbeth, and Jennifer is deeply hurt by the toad, born where no rain falls. She stared at me the whole time she was reciting. ‘Of course not,’ she scolded. ‘Macbeth wasn’t a witch. The witches say that as they stir their brew of trouble. Notice they boiled the toad first in the pot…. ‘What kind of trouble was in the pot’ I asked. ‘They gave him a warning.’ She said. 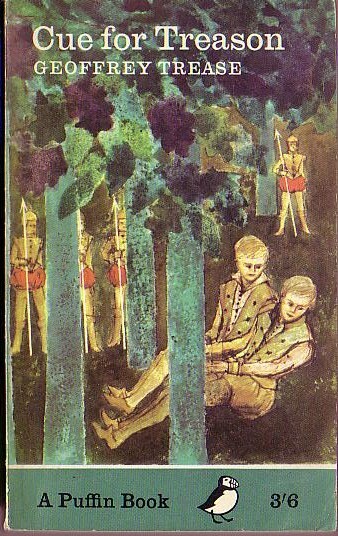 Generalising wildly, it stuck us that novels for children which actually adapted Shakespeare's plots were something of a rarity in children's novels until relatively recently. 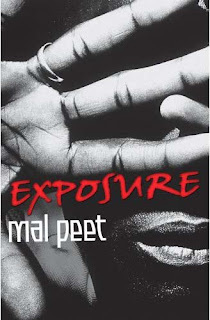 Mal Peet's retelling of Othello with a South American version of the Beckhams was one of the books that first inspired this blogpost. McB by Neil Arksey - MacBeth plus football. And apologies for the mixture of fonts in this post, which only signifies far too much cutting-and-pasting too late at night! Tig Thomas is an editor and anthologiser who entered publishing because of her passion for period children’s fiction. 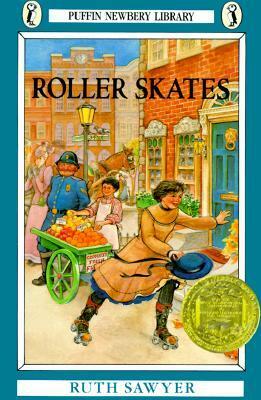 She worked as a senior editor at Random House where she was responsible for re-issuing the Biggles series, and edited books by Joan Aiken, and Jan Mark. 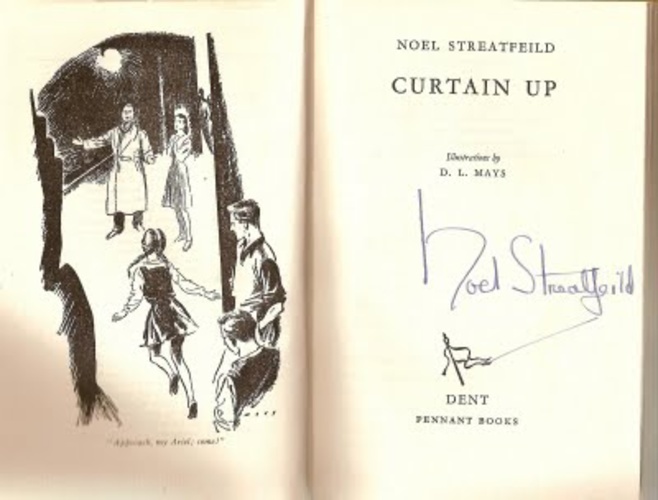 One of her biggest pleasures was working with people linked to the golden age of children’s fiction, such as Enid Blyton’s two daughters and Arthur Ransome’s executor, who used to be married to Pamela Whitlock, author of The Far-Distant Oxus. She edits new books for Girls Gone By, an imprint responsible for re-issuing popular period children’s fiction by authors such as Elizabeth Goudge, Geoffrey Trease, Elinor M Brent-Dyer and Dorita Fairlie Bruce and for commissioning non-fiction about period children’s fiction. 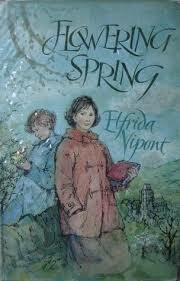 She recently worked on a biography of Monica Edwards, and a guide to children’s books set in the Lake District. A particular interest in school stories is in her blood: her great-grandfather was Dean Farrar who wrote the much-quoted Eric or Little by Little. 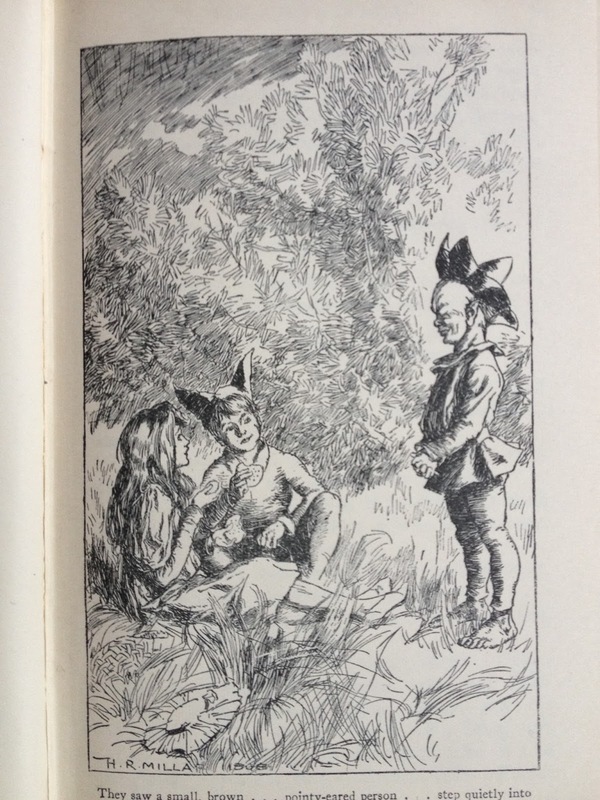 Thanks for sharing some of the classic children's books with Shakespeare themes! May I add some more? Jackie French's I Am Juliet and Ophelia Queen Of Denmark. John Marsden's very unusual Hamlet. Thank you, Sue - that was exactly what I was hoping for! I don't know either of those and look forward to finding out more about both. Thanks for mentioning of my own Fool's Girl, Lydia and for your very thorough survey of the many children's writers who have found so many kinds of inspiration in Shakespeare's life and his plays. in different ways. Might I mention Jan Mark's Stratford Boys? Told with Jan's usual mix of erudition, humour and pin sharp observation, it's a delight! Thank you for a wonderful post--many of these books are completely new to me. I own a lovely copy of John Bennett's 1897 Master Skylark: A Story of Shakespeare's Time with color plates by Henry Pitz (edition published in the early 1920's). BTW, I know that publishers are beginning to issue graphic novel versions of Shakespeare--not adaptations, but including the complete text. 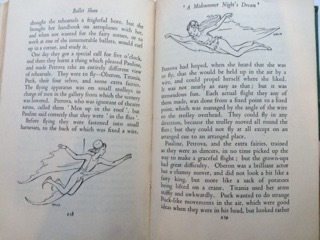 If well done, graphics of classics can hook young readers, because the illustrations serve the same purpose as footnotes, while disrupting the flow of reading much less. Thanks so much for the Jan Mark thought, Celia...definitely one to add to the first category! And I'm completely with you about graphic novel versions, Susan, but had quite forgotten about them. One of my sons was a huge fan of the Manga Shakespeares (http://www.mangashakespeare.com) but we also had Henry V in various versions from the same publisher (I think we'd won it), including unabridged. I've just checked and the publisher was Classical Comics, and they specialise in Original, Plain and Quick text versions of classic literature. Wow! What a labour of love. Thanks for this Lydia! Really, all credit to Tig!